Mental health is the level at which an individual is psychologically well off or lack of any mental disease [ CITATION Gal15 \l 1033 ]. It is a great aspect of peoples' lives as it is the main contributor to an individual's overall health. Worldwide, there is a great discrepancy between the demand for mental health care and its supply. The prevalence of mentally ill people in many nations and those requiring specialized mental health care is high. On the contrary, only less than half of these individuals are able to receive the care that they require. Consequently, the cases of permanent brain damage have increased greatly. Such people are also usually at higher risks of suffering from other health conditions. As a result, the quality of life of individuals having mental illnesses is usually reduced greatly. The effect of the lack of sufficient mental health care is also felt at the societal level. There are various reasons that bring about the discrepancy between demand and supply of mental health care [ CITATION Bre14 \l 1033 ]. Lack of sufficient nursing staff in mental health facilities is one such factor. This report, therefore, seeks to address the issue of staffing crisis amongst nurses, impacts of the issue to various parties, an approach available for the problem and the changes that could be implemented to improve the issue. The report is addressed to the government, for it is the supreme authority with immediate power to intervene in the issue. Staffing crisis for nurses also commonly referred to as nursing shortage is described as the situation at which the supply of nursing professionals is exceeded by its demand in healthcare facilities either at local, national or even global level. The common points of measurement to determine the shortage include; nurse to population ratio, nurse to patient ratio, or the total number of job openings [ CITATION Had18 \l 1033 ]. When all the aforementioned indicate that more nurses are needed than the currently available ones, then a shortage is said to exist. This is a common scenario around the globe more so in developed and developing countries, which always capture the attention of the entire world. It is, however, worth noting that the low supply of trained nurses is not necessarily the cause of nurses' shortage. There have been various instances in many nations where shortages have occurred simultaneously with a high rate of admission of learners into nursing training centers, which is highly contradicting. A global estimate of 4.3 million nurses is the reported shortage emanating from the World Health Organization [ CITATION Wor17 \l 1033 ]. WHO attributes this high figures to low investment in; training, working environment, management, wages and education of health workers by various nations. In Australia, a shortage of approximately eighty-five thousand nurses by 2025 and the number set to rise to one hundred and twenty-three by 2030 is forecasted by the Department of Health. 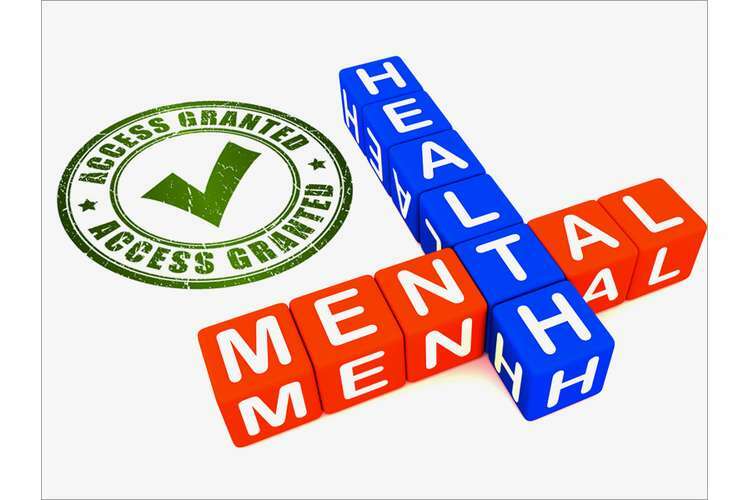 Subsequently, the mentioned shortages affect the supply of mental health care adversely. This is due to lack of nurses to administer the required care. An Aging Registered Nurses Workforce. It is a bitter fact that only a few numbers of the younger population are entering into the nursing profession. Subsequently, the average age of nurses who are in practice is continuously rising. Recent reports indicate that 45.2 is the average age of nurses currently. It, therefore, goes without saying that the number of new nurses to replace the aging ones are not enough [ CITATION Rus16 \l 1033 ]. Additionally, those available cannot match the quality, experience, competence, and skills level of the aging nurses. With nursing being considered as an occupation mainly for women, expansion of career opportunities have impacted the number of women entering in the field. Women have ventured into other careers they consider more paying and interesting than nursing. Aging RNs are also more susceptible to feet, neck and back injuries. Subsequently, they are constantly on sick leaves and thus contributing to the demand-supply gap in the workforce. The aging and subsequent retirement of people born after the end of World War II is another reason attributed to the shortage of nurses. In the years that followed after the 1940s, more than seventy million children were born worldwide. Due to various motivators such as, family, friends and other close persons having incurred injuries during the world war, a significant number of the baby boomers joined the nursing profession. It was their belief that by becoming nurses, they could help those who were injured during the war and aid them in regaining their normal health conditions or being accustomed to permanent injuries. Majority of such nurses are now on the verge of retirement or even retired and thus leaving huge gaps [ CITATION LeR14 \l 1033 ]. They are exiting the health care profession and on the other hand calling for health care attention as they age. Nurses recruitment and retention challenges. Often used as an indicator of retention or recruitment problem is the rate of job turnover. The inadequacy of recruitment and retention policies of health care workers demonstrates the shortage symptom [ CITATION Sti05 \l 1033 ]. The severity of shortages varies in various nations across the globe with the African region being the worst hit. The magnitude of shortages can be assessed using a variety of factors that are directly related to recruitment and retention challenge. These indicators include; turnover rates, vacancy rates, absenteeism as well as retention rates. There are various reasons that contribute to these challenges. Poor working conditions, low remuneration, harsh rules, and cruel management are some of the key contributors to the aforementioned [ CITATION Bow14 \l 1033 ]. Subsequently, when the retention rate is low and turnover of nurses high, it simply means that there will be no sufficient labor force to handle the high demand for mental health care. In mental health care settings, patients are the most affected by shortages of nurses. This is due to the fact that they are the direct consumers of such care. First, nurses' shortage results in a higher patient mortality rate [ CITATION Mun17 \l 1033 ]. There are mental patients whose conditions calls for close attention from nurses as well as constant checks. With the shortage of nurses, then such personalized care lacks. Subsequently, patients are placed at higher risks of death. Secondly, the chances of medication errors are more likely to occur when a shortage of nurses exists. Mental patients are always under medications with drugs that are highly sensitive. A medication error could, therefore, have lethal effects on the affected individual. Nurses having to work for long hours and attending to many patients due to the shortage is the leading cause of these errors. The problem of nurses' shortage also adversely affects the nurses in operation. First, nurses are faced with a huge workload that what they are supposed to handle. With a large amount of mental health care seekers and a small workforce, the nurses in operation have to assume the work that could have been tackled by the nurses in deficiency. Nurses are also forced to work for long hours than they should. It is a common scenario for nurses to work for more than 26 hours without rest in areas with a shortage of nurses. In general, biology that lack of sleep and exhaustion affects the output of an individual. As such, the quality of work decreases with increased cases of medication errors and near misses. Lastly, the shortage of nurse leads to demotivation and demoralizing of current nurses [ CITATION Yau13 \l 1033 ]. When such nurses are overworked, of course without any extra pay, their morale for work goes down. This subsequently leads to absenteeism and, worst of all, labor turnover at a high rate. Shortage of nurses has a large impact on the delivery of care as well as the capacity of hospitals in mental health care settings. First, there are various processes that are run in hospitals and whose nurses’ presence is vital. Subsequently, when nurses required to run the processes are unavailable due to shortages, the system and processes end up stalled. During the construction of mental health facilities, there is always the maximum capacity set for each facility. When under the operation of the required number of nurses, doctors, and other staff, such facilities can comfortably offer care to their maximum capacity. When a shortage of nurses exists, however, hospitals can only admit patients to limited capacity and thus cutting their expected income [ CITATION Eve15 \l 1033 ]. Hospitals also have reputations to keep. It is usually a sign of dissatisfaction when patients or people close to them get back to their homes complaining of how poorly they were attended to at a certain hospital. They could also complain of being not attended to when the ratio of nurse to patient is extremely high. The community at large is also affected by the issue of nurses' shortage in one way or the other. First, there is a generally reduced quality of life in the community. When there is a shortage of nurses, it means that not all mental patients are able to receive the required care. Subsequently, those who do not receive the care that they require lead a life that is of reduced quality. They are not able to enjoy the normal takes and haves of life due to their prevailing mental conditions which usually have a significant and lethal effect to their cognition. Additionally, a shortage of nurses brings about reduced quality of life in the community [ CITATION Fri12 \l 1033 ]. When mentally ill patients do not receive the care they need, they are unable to undertake their daily activities some of which are their sources of income. As a result, they are not able to raise the income required for personal use. Consequently, dependency comes into play since such individuals will have to depend on other people for a living. There are various approaches that have been embarked on in the attempt to solve the menace of nurses' shortage. However, there is one solution that has been used by various governments and has yielded fruits of a recognizable capacity. Investing in long-term professional development and training and subsequent improvement of working conditions as well as remunerations is a strategy that has been implemented by many governments both at the local and national level [ CITATION Had18 \l 1033 ]. It has been a recently suggested by various humanitarian organizations concerned with the quality of healthcare provision that; lifelong learning for nurses should be a commitment for governments and all stakeholders. With consistent promotion opportunities being availed for nurses, they will be motivated enough to seek new skills and knowledge from various learning institutions. Improvement of working conditions will make the nurses at the workplace more comfortable and thus lower the rate of turnover. Turnover is also curbed effectively by proper remuneration which brings about satisfaction amongst workers. To strengthen the above approach of tackling nurses’ shortage, this report recommends two additional strategies that the government could apply. First, the government can use the nurses that are already in practice as recruiters with any referrals being compensated [ CITATION Sti05 \l 1033 ]. The idea of converting current nurses as scouts for talents can be adopted by the government and implemented to effect change in the rate of recruitment. Existing nurses definitely know some other nurses who they probably schooled together and are unemployed or have quitted working due to various reasons. Each nurse should then be compensated for each referral. Secondly, the government, through relevant regulatory authorities, should ensure that nurses in practice are given room to accommodate for professional and personal needs [ CITATION Rus16 \l 1033 ]. Nurses face difficulties while trying to achieve and maintain a balance between professional and personal life. Recruitment and retention could be facilitated by nurse leaders offering schedules that are altered for nurses to accommodate their professional and personal. Conclusively, it has been established that the shortage of nurses is an issue requiring urgent intervention. The government has been identified as the target audience of this report. The rationale behind this choice is because it the government is the highest authority with the supreme power to effect change. Recruitment and retention challenges, approach to retirement by baby boomers, and an aging Registered Nurses workforce are the factors that have been identified as the main contributors to the problem. Further on, the report has clearly stated how the issue of nurses' shortage impacts the provision of mental health care to patients, the nurses themselves and to the community at large. The most commonly applied solution identified is Investing in long-term professional development and training and subsequent improvement of working conditions as well as remunerations for nurses. The report has then recommended to the government to use current nurses as recruiters. It can also avail opportunities for nurses to balance their personal and professional life.